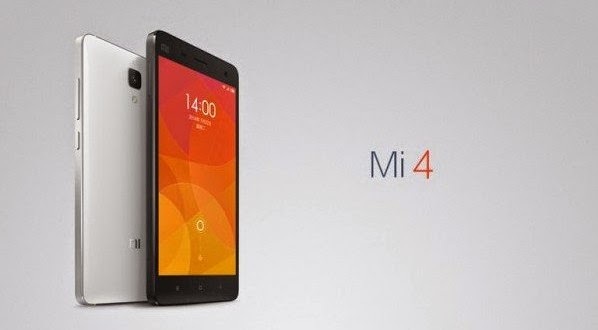 A company "Xiaoma" Xiaomi today unveiled a smart phone, "May 4" Mi 4, which targeted its high spec phone category, which is quite similar to the phone "iPhone" from the "Apple" with a powerful specification and at a price not to exceed $ 325. The "May 4" Mi 4, which tried him, "Xiaoma" clone Tsmamim company "Apple" as it did with Hasabha Tablet "Mi Bad" Mi Pad which looks like a computer "iPad Mini" from "Apple", Bhecal of the metal frame. The new phone screen measuring 5 inches and accurate full 1080p, and 3 GB of RAM, and 16/64 GB of internal storage. The device works, which supports fourth generation networks "TE" LTE, processor quad-core type "Snapdragon 801" and a frequency of 2.5 GHz, and the version 4.4.2 "Kit Kat" of the operating system "Android" with the user interface MIUI own company. And owns the machine rear camera accurately 13 MP, and other front capable of imaging 8 megapixel, it also owns the battery is not removable, and a capacity of 3,080 mA / h is enough to work for a day and a half of normal use, also characterized as being shipped by 60 percent in just an hour , as she said, "Xiaoma." It is expected that poses a phone "May 4" Mi 4 new in the Chinese market at a price equivalent to $ 322 for a 16 GB and a price equivalent to $ 400 for a 64 GB, this is expected to be put in the global markets that operate in. "Xiaoma" Currently, such as Singapore, Malaysia and India . The famous company "Xiaoma" it produces smartphones high specification but at much low compared to its competitors, such as "Samsung" and "HTC", the company had announced earlier this month it sold 26.1 smartphone during the first half of this year.